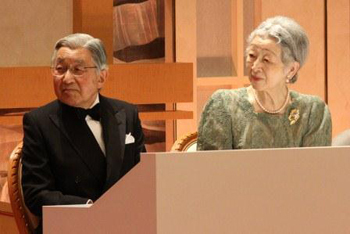 On June 1st, 2013, The Japanese Government held the Second Hideyo Noguchi Africa Prize Award Ceremony and Commemorative Banquet with presence of Their Majesties the Emperor and the Empress in Yokohama. 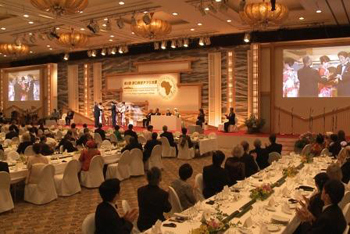 The ceremony and the banquet were conducted on the first day of the Fifth Tokyo International Conference on African Development (TICAD V) held in Yokohama from June 1st to 3rd, with participation of the heads of African countries and stakeholders from various fields. 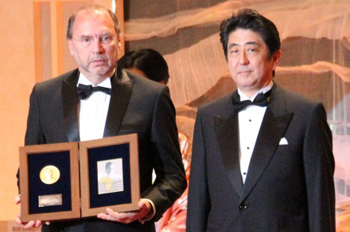 The medals, the citations and the honorarium were presented to Dr. Peter Piot and Dr. Alex G. Coutinho by Mr. Shinzo Abe, the Prime Minister of Japan. From Fukushima, Dr. Hideyo Noguchi’s hometown, the choral club of Fukushima prefectural Asaka Reimei high school and Komatsu shishi preservation group, a group of Fukushima regional traditional arts came to perform at the ceremony. 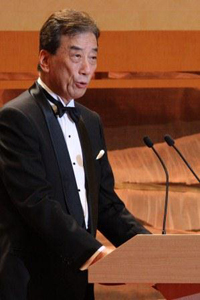 Dr. Kurokawa reported the result of selection and prominent achievements of the laureates deserving for the prize. On behalf of the heads of African countries, Mr. Mahamaexpressed his congratulations for the laureates and praises for success of TICAD V and the government of Japan which established the prize. He also expressed the hope that the twin principles of ‘ownership’ and ‘partnership’ will continue to shape Japan’s foreign policy directive towards Africa. The prime minister expressed his congratulations and praises the laureates and mentioned about the significance of the prize in the context of Japan’s Strategy for International Health Diplomacy. He also expressed appreciation for the great support of African countries when the great east earthquake occurred in 2013. 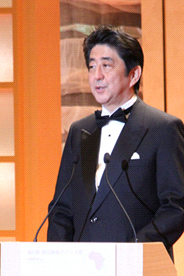 At the same time, he hoped the people affected by disaster in Fukushima will gain encouragement from this prize, which memorializes Dr. Noguchi, Fukushima’s true hero. 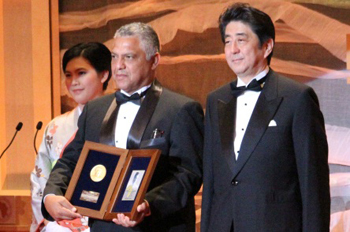 The Prime Minister presented the medals, the citations and honorarium to the laureates. From Fukushima, Dr. Noguchi’s hometown, the Choral of Fukushima prefectural Asaka Reimei high school and Komatsu shishi preservation group came to perform at the ceremony. 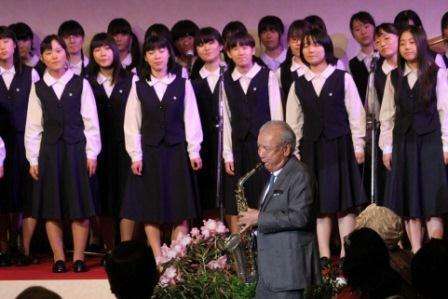 Mr. Sadao WATANABE, a Jazz saxophone player performed with Asaka Reimei high school. 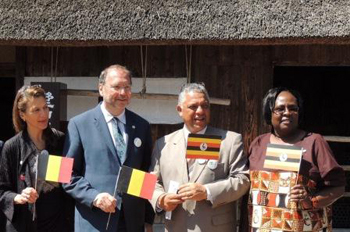 I am deeply honoured to receive the Second Hideyo Noguchi Africa Prize. I visited the Hideyo Noguchi Memorial Institute for Medical Research in Accra. That visit made it clear to me that Dr Noguchi was one of the early "global" scientists. New viruses and untreatable bacterial infections will continue to emerge. Thanks to a unique synergy between science, leadership, money, and programmes on the ground, we have made real progress in the fight against AIDS. Fewer people are dying and fewer become infected with HIV. The reality is that last year 1.7 million people still died from AIDS. I am deeply concerned about growing complacency on AIDS. I will use the Prize money to offer opportunities to African scientists to study in London and in Nagasaki. My commitment to global health and fairness in access to science remains as firm as ever. Dr. Noguchi’s spirit of scientific discovery and social justice is alive and well! I am humbled to stand before this distinguished gathering to accept honour that the people of Japan have chosen to bestow on me in memory of Dr Hideyo Noguchi and his distinguished work. In the past 15 years I and my colleagues have also been able to translate emerging HIV science into large scale health programs reaching millions of people in Africa. I thank the Japanese people for your vision to honor Dr Hideyo Noguchi. In setting out this award Japan has shown its recognition of the importance of health in the development agenda of Africa. I dedicate today that this award is not mine only but that it belongs to the people of Africa. I commit that it will be used to create a new cadre of health workers that have both vision and leadership and who will put caring compassion and patriotism at the core of their health skills . I commit that these doctors, nurses, midwives, lab techs will in the years to come continue the spirit of Dr Hideyo Noguchi and help to solve the health challenges of our mother Africa. 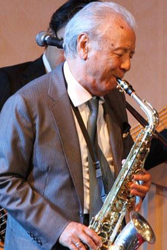 At the end of the banquet, Sadao WATANABE Group performed farewell music. 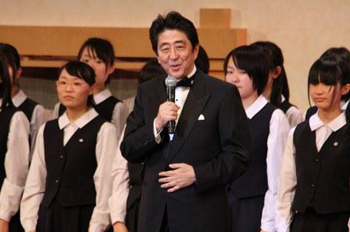 The Prime minister and the choral club of Fukushima prefectural Asaka Reimei high school came back to the stage again. 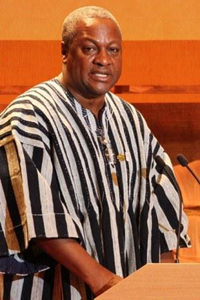 The Prime Minister had closing remarks to express gratitude to the participants. The laureates visited the Former Bacterial Laboratory where young Dr. Hideyo Noguchi worked as a medical quarantine officer. 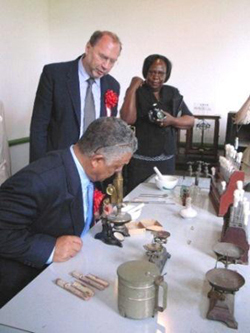 The laureates were interested in old medical equipment. After visiting the laboratory, the welcome ceremony was held by Yokohama City. 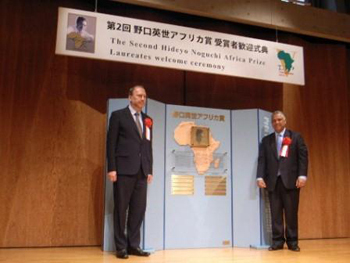 The laureates put their name plates on the monument of the Hideyo Noguchi Africa Prize. 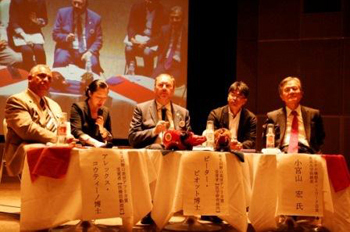 Yokohama city carries out the educational project called “One School- One Country”. Elementally schools and junior high schools students in the city study about countries of Africa. 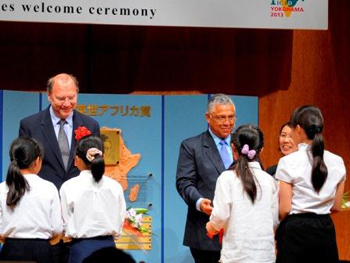 At the ceremony, the elementally schools students who studied the Republic of Ghana and the Republic of Uganda gave presentations and welcomed the laureates. 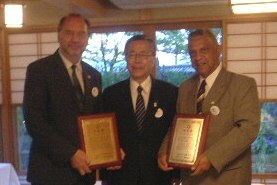 The laureates visited Inawashiro Town. 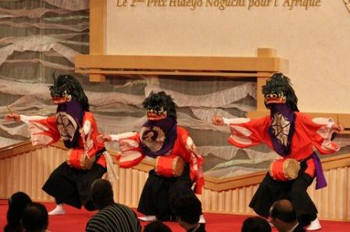 Welcome event of Inawashiro Town was held at the Hideyo Noguchi Memorial Hall. The laureates were welcomed by Mr. Hiroshi ZENGO, the mayor of the town and children of the town at the hall and visited the house where Dr. Noguchi was born and the hall. Then, the laureates participated in “Future Design 2050”. The symposium was conducted by high school students of Aizu Wakamatsu City. In the evening, the laureates met with Mr. Yuhei SATO, the governor of Fukushima Prefecture and they were presented the certificate of "Honorary Goodwill Ambassador of Fukushima". 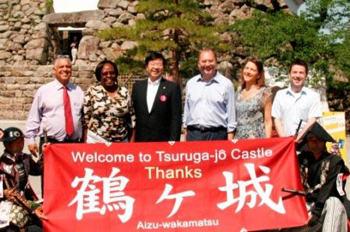 The laureates visited the Tsuruga Castle under the guidance of Mr. Shohei MUROI, the mayor of Aizu Wakamatsu City. Next, the laureates participated in an exchange meeting at Okuma junior high school. 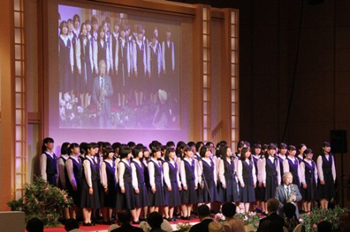 Students of Okuma junior high school made qustions for the laureates. The laureates answered them and enjoyed discussion with the students. After the meeting, the laureates visited to the Hideyo Noguchi Memorial Park to offer flowers to the statue of Dr. Noguchi at the Hideyo Noguchi Memorial Park. After the gathering, the laureates visited Memorial House for Young Dr. Noguchi and Suehiro Kaeigura sake brewery which are the places associated with Dr. Noguchi. 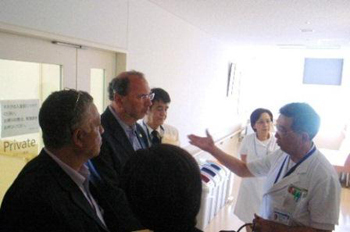 In the end, the laureates visited Aizu Medical Center to have meeting with staffs of the medical center and observe the facilities. The medical center was established in May 2013, and plays the leading role of community health in Aizu area. 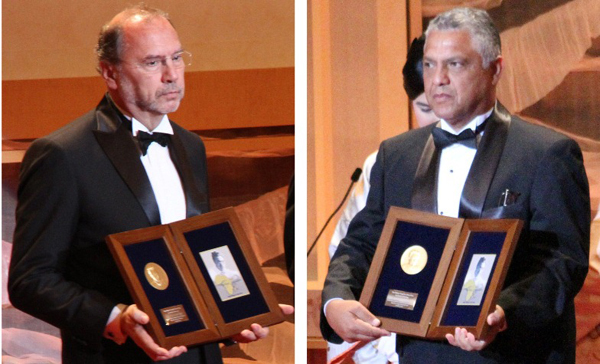 June 4th, 2013, the laureates had lectures at the United Nations University in Tokyo. 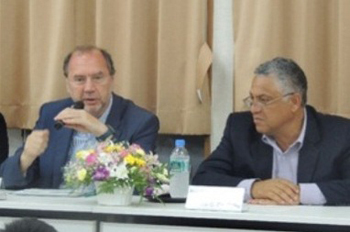 Dr. Piot had a lecture titled “Old and new challenges in global health”. Dr. Coutinho had a lecture titled “From the Laboratory to the Village - translating HIV science into services for the millions”. 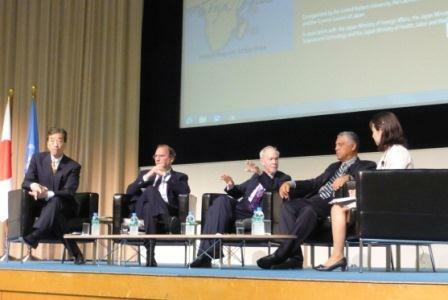 After the lecture, a panel discussion was held. The laureates, Dr. Kiyoshi Kurokawa, Chairperson of the Hideyo Noguchi Africa Prize Committee, Dr. David M. Malone, The rector of the United Nations University and Dr. Fumiko Kasuga, Vice President of Science Council of Japan participated in it as panelists. You can see the movie of the lecture at the website of United Nations University. About inquiries for donations, please contact with to Citizen Participation Promotion Division, Training Affairs and Citizen Participation Department, Japan International Cooperaion Agency (JICA). We would like to inform you that our office has been relocated from July 1st 2013. The address and phone number of our new office are as follows. New Address: 1-6-1 Nagata-cho, Chiyoda-ku, Tokyo 100-8914, Japan.